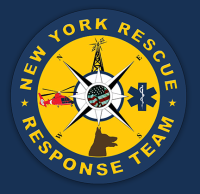 New York Rescue Response Team has an active and robust community-oriented Fire Prevention program that focuses on protecting citizens from injury. 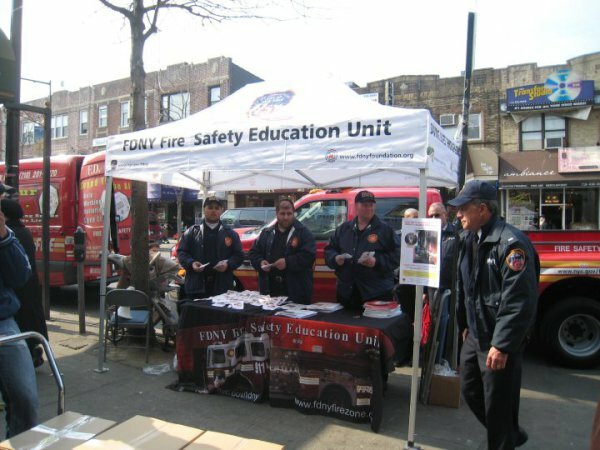 NYRRT often works in association with the Fire Department of the City of New York (FDNY) at community-wide fire prevention venues, and together have maintained and built a great trust and understanding among the local NYC communities. 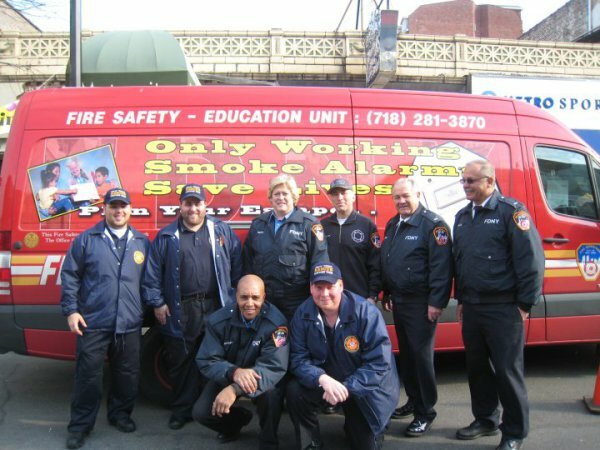 NYRRT advises and provides education to real estate owners, landlords and tenants, on the necessity for fire prevention measures. NYRRT provides injury prevention programs tailored to specific audiences...from children to residential fire safety to programs, to houses of worship, to programs that address the special concerns of the elderly. 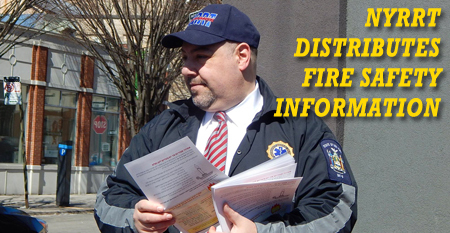 After each preventable fire death, NYRRT Command Staff go door-to-door in the neighborhood where the fire occurred and talk to neighbors about the importance of fire safety. This offers an opportunity to install smoke alarms where none exist or provide fresh batteries for existing alarms. Those tragedies that occur close to home can often be used to make people more aware of the dangers in their own home and give them an opportunity to prevent such an occurrence. NYRRT provides an excellent program which respond to citizens' needs by installing smoke alarms in the residences of elderly people who lack this protection. 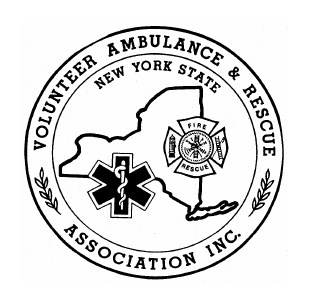 Elderly community members interested in obtaining a smoke alarm and having installed free of charge should contact NYRRT. 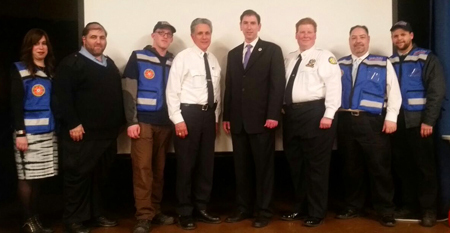 NYRRT members with an FDNY Fire Prevention Officer and NY City Councilman Chaim Deutsch after a community Fire Prevention Education Evening hosted in Brooklyn, after 7 children tragically died in a fire in the Spring of 2015; their home had no smoke detectors. "NYRRT has started a Fire Safety Program. Members will distribute and install smoke alarms, which have a battery life of 10 years, free of charge to any senior citizen that does not have one. The program covers Bensonhurst, Borough Park, Kensington and Midwood neighborhoods in Brooklyn. There are plans to expand the program to all Brooklyn South neighborhoods in the coming months. 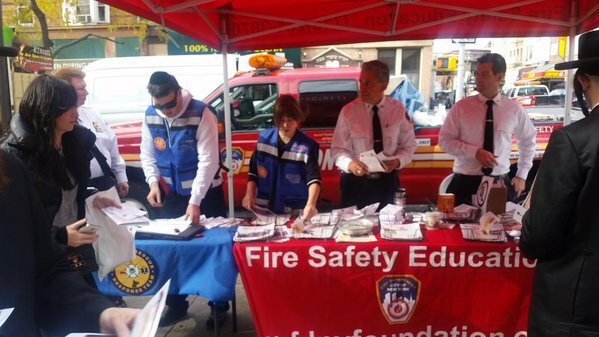 The group also teamed up with the FDNY Fire Safety Education Unit to distribute free 9 volt batteries donated by the FDNY Foundation.